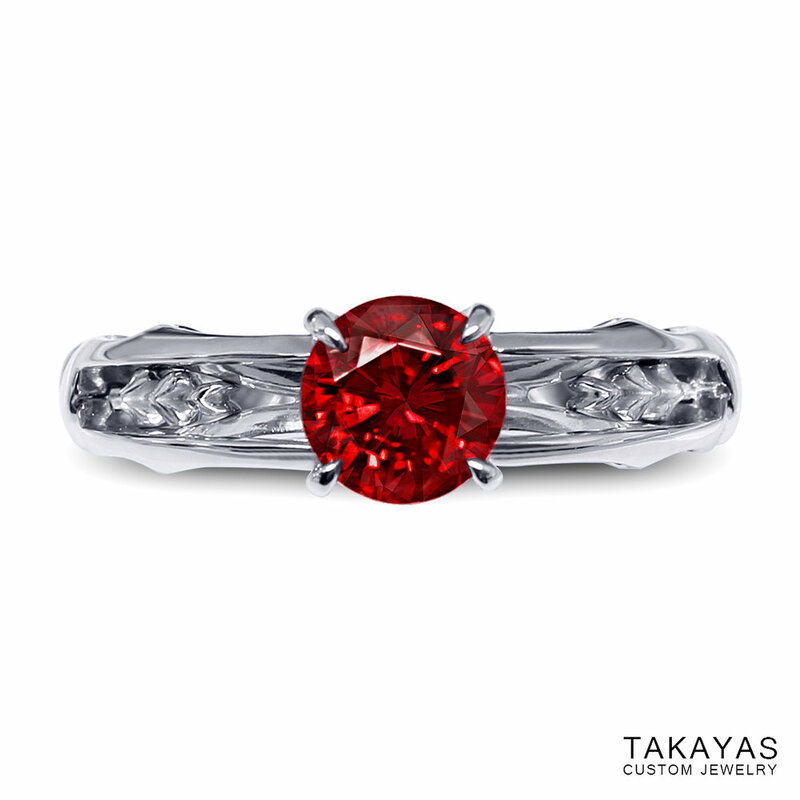 We’ve always been taken with the amazing skill and geeky sensibilities of Takayas Jewelers. 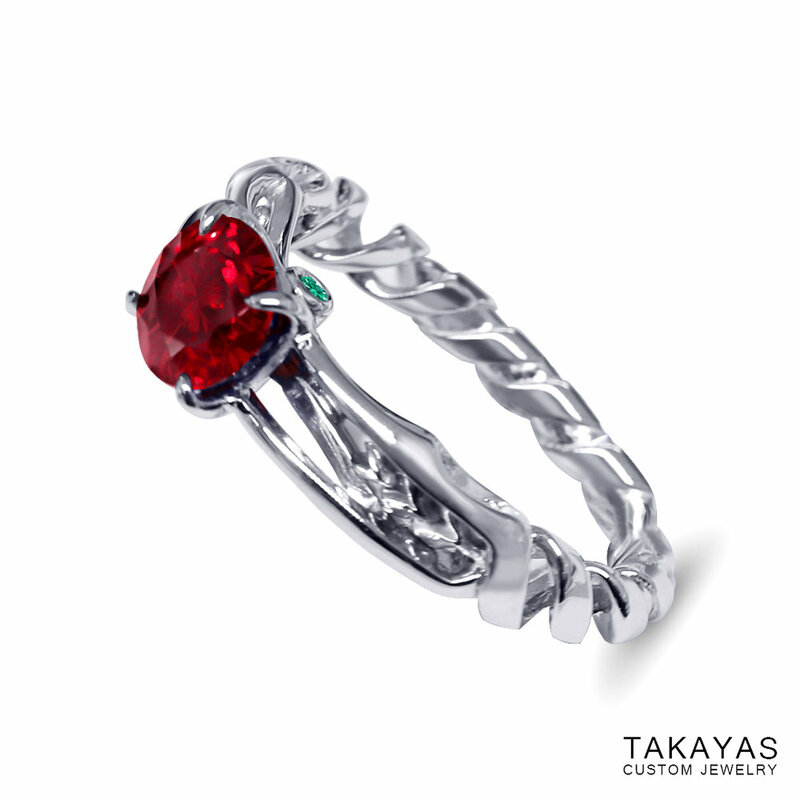 In fact, I worked with them to create a Darth Vader inspired light saber engagement ring for my fiance’. they work with geeks all over the world to create custom pieces of jewelry inspired by your favorite comic book, cartoon, anime… pretty much anything. Today the just unveiled a new engagement ring that was inspired by the Evangelion X Lance of Longinus. 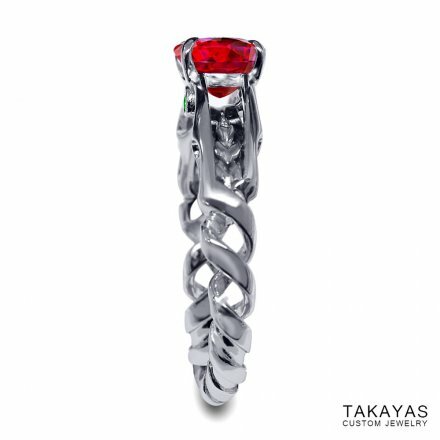 Takayas modeled the shank of the ring to have a double helix design, and even included a design from the Unit 02’s back plate, that ended up fitting quite nicely between the Lance’s tines on the under-side of the ring. 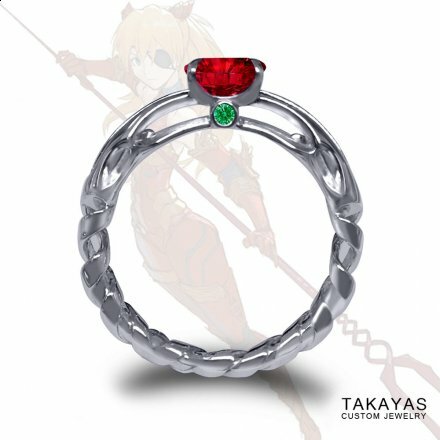 Since the main gemstone matches the red color of Asuka’s plugsuit, Takayas added two small emerald accent stones to match her unique suit’s green accents, as well as the eye of the Eva-02!